When starting out in the fast paced and Uber contemporary world of 21st century business, looking for a premises can prove the undoing of a nascent entrepreneur. Not only does a premises bring with it a sizeable overhead cost, it can seriously stall their operation trying to find a premises that’s just right. When they do, however, the vast majority of new business owners choose to rent. It’s only sensible since they are currently an untested commodity in the market and as much faith as they may have in their business plan, they’re usually reticent to tie themselves into a contract that’s any longer and more restrictive than it absolutely needs to be. It’s little wonder that so many new startups exist solely in the digital domain. Let’s face it, few new entrepreneurs have the ready capital handy to throw down a meaningful down payment on a commercial property anyway. There comes a time, however, after a period of prolonged growth and expansion that the prospect of buying a premises (or land upon which to build one) becomes a serious viability. If your business has outperformed your expectations, after all, you can easily start to wonder if your profits are best served by sinking revenue into your current premises without the hope for growth or a meaningful return on your investment. Here we’ll look at some factors of which you will need to be aware if you decide that renting a premises has become an unnecessary drain on your profits that you can no longer afford. There are some distinct benefits to buying land and then building a premises for your enterprise. Investing in land is a business in and of itself, and even if you do absolutely nothing with said land, it’s likely to increase in value even without a sizeable capital investment on your part. There’s nothing to replace or renovate and there are far fewer people competing with you. You can purchase land and make passive income from it with far fewer overheads and commitments than your average landlord experiences. This way you can sit on your land and accrue the income to help you ease that all-important cash flow all year round, placing less pressure on you to develop your business premises any sooner than you’re ready to. When you do decide it’s time to develop you can do so safe in the knowledge that you can build your premises to your exact specifications. Since you’ve been in the game a while now you’ll know the specific requirements of your operation and how you can develop the premises to maximize productivity while minimizing waste. Buying land, however, is subtly different to buying a commercial premises, and the savvy entrepreneur should ask themselves some searching questions before they sink their business’ funds into this investment. Is the land fit for purpose? Depending on the nature of your business, a plot of land that seems absolutely ideal on paper may not be fit for purpose in terms of your business’ operations. Environmental factors may render the land unusable for business purposes. There may be water issues in the area that require particular treatment issues. You may face trouble with your electrical or broadband infrastructure. You may find that the composition of the land prohibits construction on the scale that your operation requires. It may even be that the land in question is so cheap is because it does not yet have planning or zoning permission to build upon it. While you can always pursue this after you have bought the land it may be a costly and time consuming process. Can I legally run my business on this land? Aside from any zoning restrictions placed on the land, depending on the nature of the land there may be restrictions on the land that prohibit the kind of use that your business would require. Usually this will be mitigated if you maintain good communications or buy through an appropriate vendor. If you wanted to open a hunting or fishing lodge, for example, you’d be best served by visiting SportsAfieldTrophyProperties.com and choosing an appropriate plot or ranch. 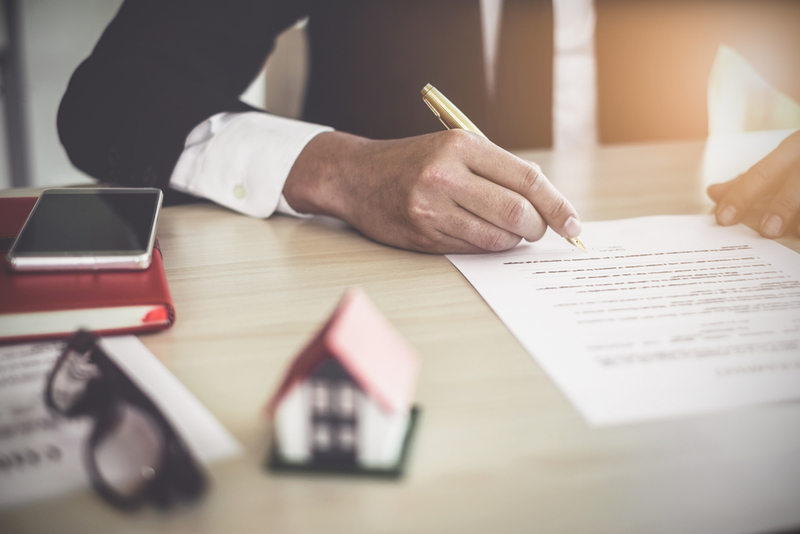 If the vendor is unable to provide you with a comprehensive breakdown of what you legally can or cannot do with the land you may be need to consult a lawyer. How do I intend to finance this purchase? If your business is in a great position, you may have the ready capital to buy the land outright. This would be great as you wouldn’t have any monthly repayments that you’d need to factor into your cash flow analysis nor would you have to worry about interest rates eating away at your profit margin. You would, however, need to factor in any potential impact on your cash flow. A purchase of this magnitude is exactly the sort of thing for which you should maintain healthy liquidity, but will you be able to manage all of your outgoings and debts effectively after the point of purchase? There are a few different financing solutions when it comes to buying land that, while they may incur interest charges, may be more beneficial for your business in the long term. Can my business handle the transition? Inevitably whenever a business moves to a new location, you are faced with a transitional period which can have a detrimental effect on the running of your business. There may be days, weeks, or even months within which you’re either unable to operate or have to operate at a diminished capacity. The benefit of buying land is that you can sit on it for as long as you need to while you plan the move in order to minimize downtime. Nonetheless, it is a factor that you’ll need to consider. Like any business investment the purchase of land is not something that should be entered into lightly. While, in principle, it does have numerous benefits it behooves entrepreneurs to do their homework before seriously considering an investment of this magnitude.